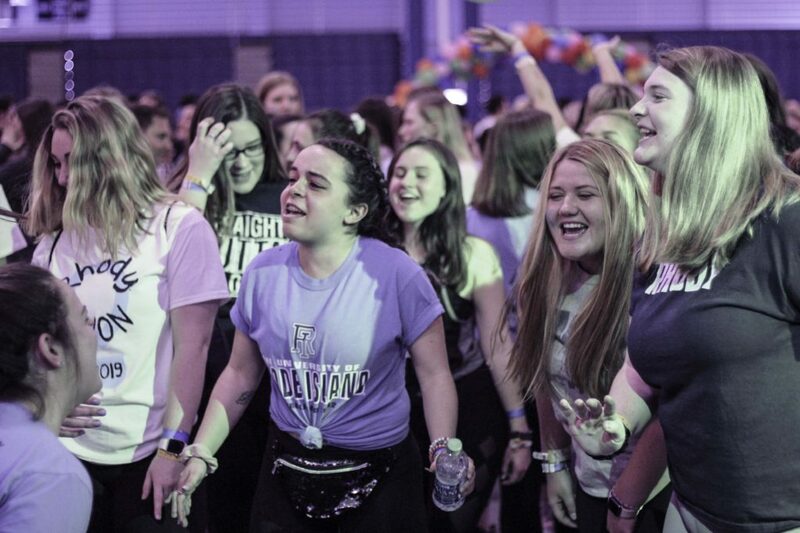 The second annual RhodyTHON fundraiser, which donates all proceeds to the Hasbro Children’s Hospital, raised $292,173 on Saturday night, drastically surpassing last year’s record-breaking total. The event was held on Saturday from 4 p.m. to 12 a.m. at the Mackal Field House. 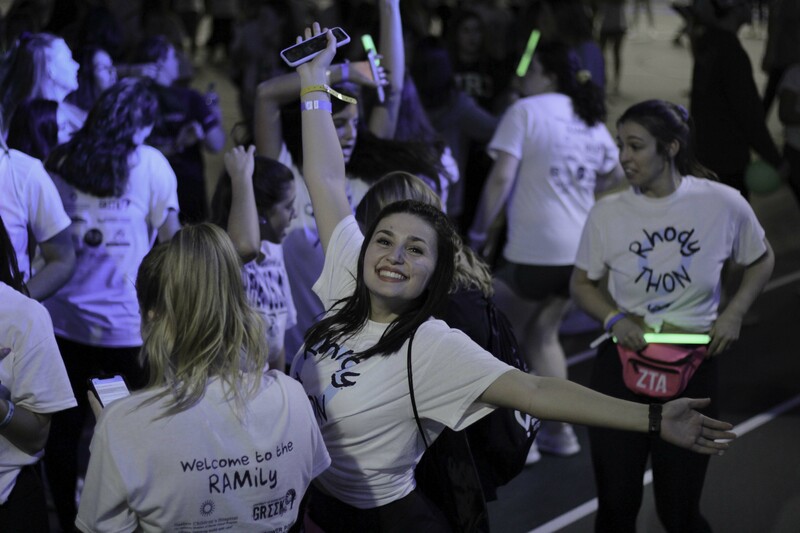 The executive board for this event had other fundraisers throughout the year, but RhodyThon was the most successful. Last year, they raised approximately $172,000. 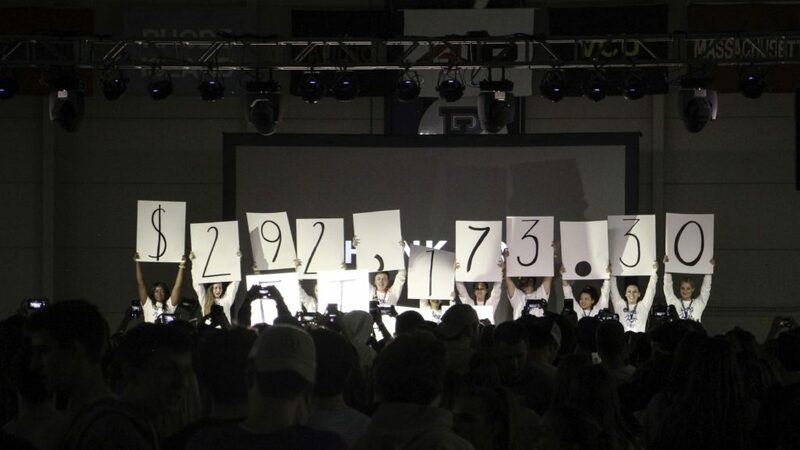 This year they raised $292,173 overall. All proceeds go to the Hasbro Children’s Hospital in Rhode Island and the Children’s Miracle Network (CMN) hospitals. The CMN has partnered with over 300 schools and universities across the country to host dance marathons to raise funds for the children. 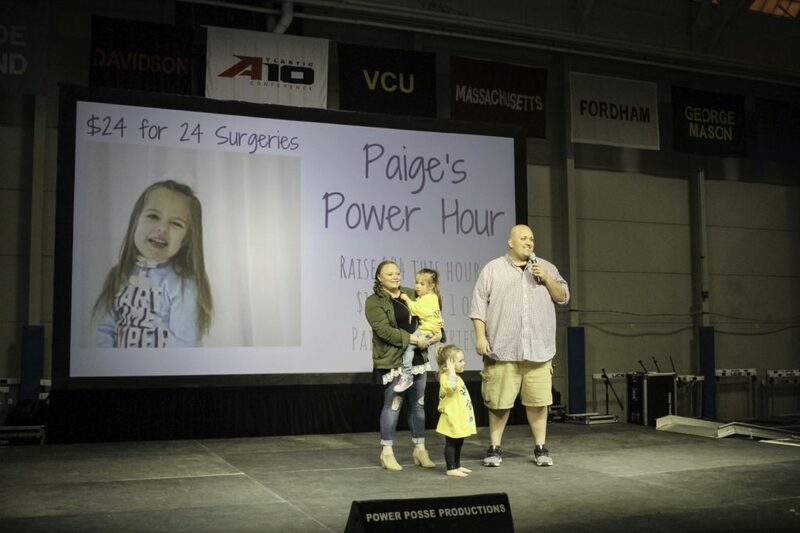 Last year, this idea was proposed by Hailey Flavin, who at the time, was president of URI’s Greek Life Panhellenic Council and executive director of student affairs for RhodyThon. Throughout the eight hours of the event, various activities and competitions took place every hour. Also, every hour was dedicated to one or more families. Apart from night long activities, there were several other events that kept the participants entertained. 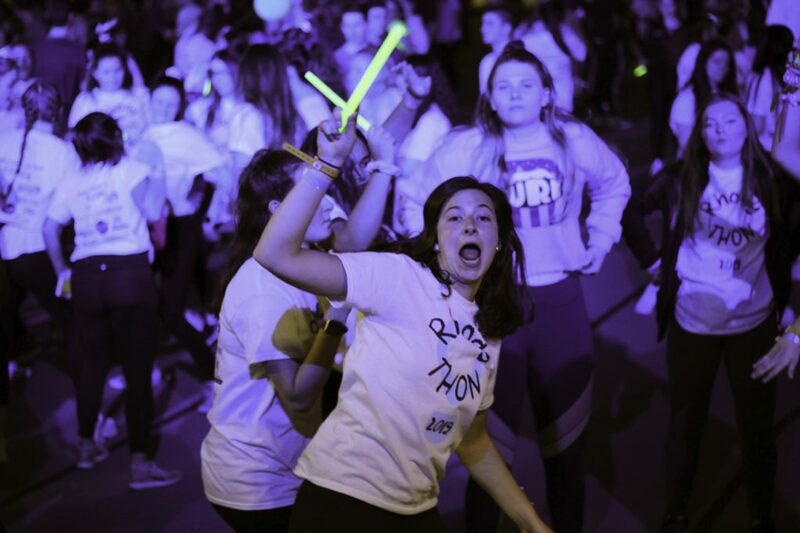 Apart from nonstop, high-energy music playing all night, the event also had activities that cheered on the participants to “Do it for the kids,” and keep them entertained. “Good Night Lights” is an initiative by the Hasbro Children’s Hospital where people from all around the neighborhood flash their phones to bring the miracle children positive energy and hope. 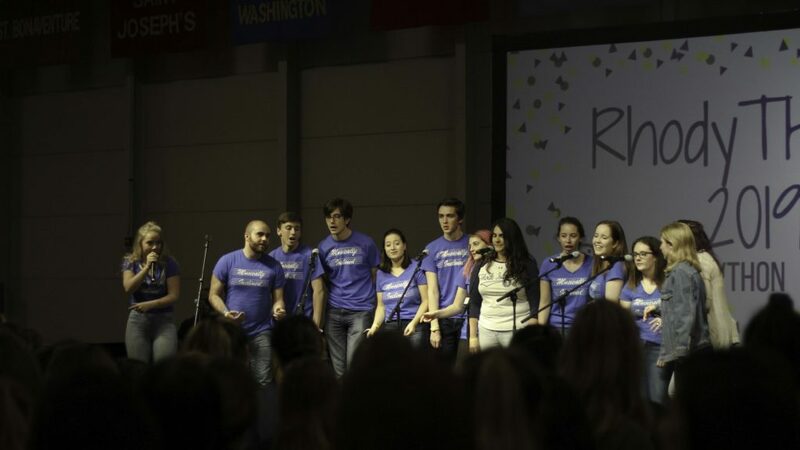 At midnight, a short video that highlighted the work of the executive board was screened right before the final reveal of the overall funds raised. The team that raised the most money was Sigma Alpha Epsilon with $25,493. The top fundraiser was the president of Zeta Tau Alpha, Dominique Franco, who passed away suddenly in February this year. Over $8,000 dollars were donated to her page in rememberance of her. Various Greek Life organizations were present and had ‘adopted’ miracle kids for the night to make this night memorable for them. Various fraternities and sororities were among the highest fundraisers for the event. The President of the Interfraternity Council, Sean Sutherland, said the fundraising success was due to their focus on helping the community. 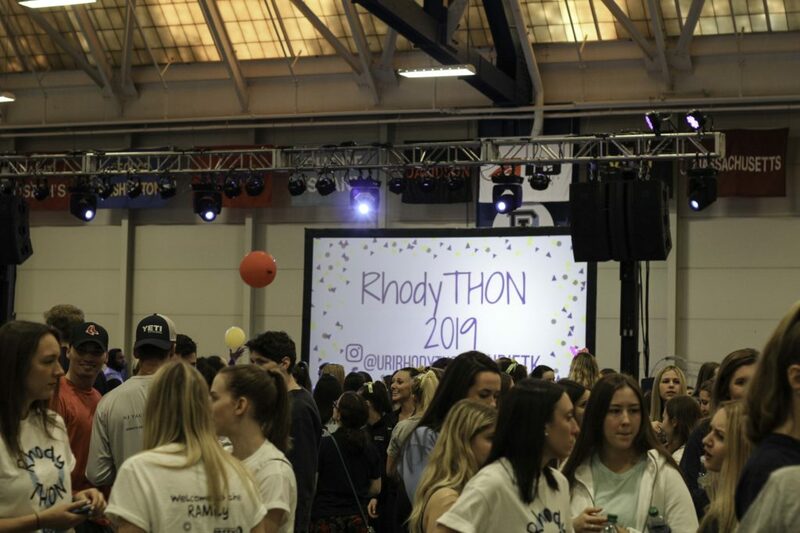 The President of the Panhellenic Council, Laura Creese, said that fundraising during RhodyThon itself, helped various groups raise their fundraising totals. “The atmosphere really helps with the fundraising during the event,” Creese said. Many students and participants of the event were overwhelmed by the response and the enormous amount of total funds raised.